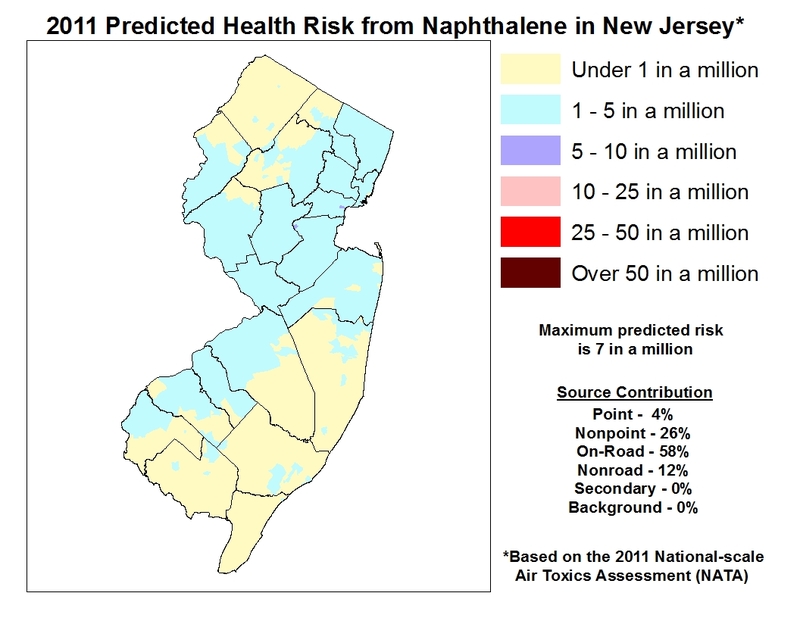 To determine whether the air toxics included in USEPA’s National-Scale Air Toxics Assessment (NATA) could be a potential human health problem in New Jersey, NJDEP compares the estimated NATA air concentrations to their chemical-specific health benchmarks. 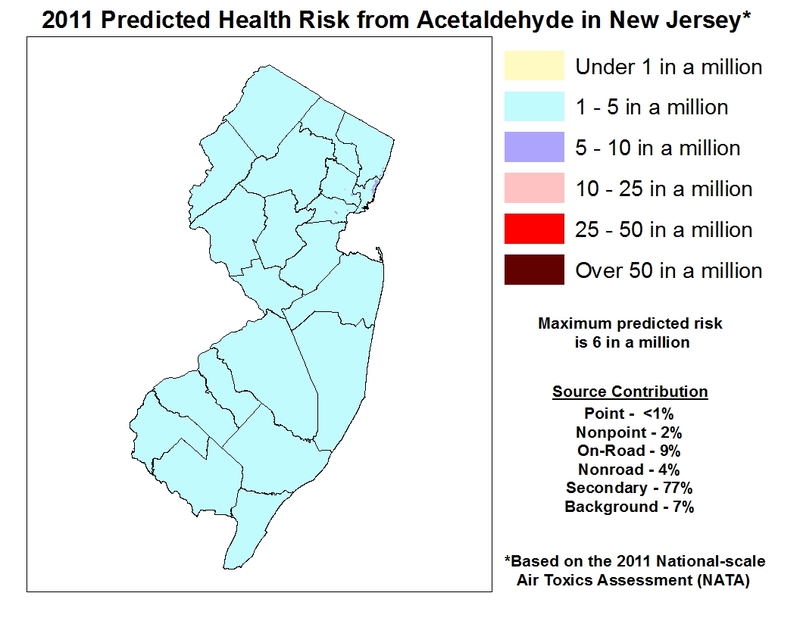 We divided the modeled air concentration by the health benchmark to get a number we call a risk ratio. 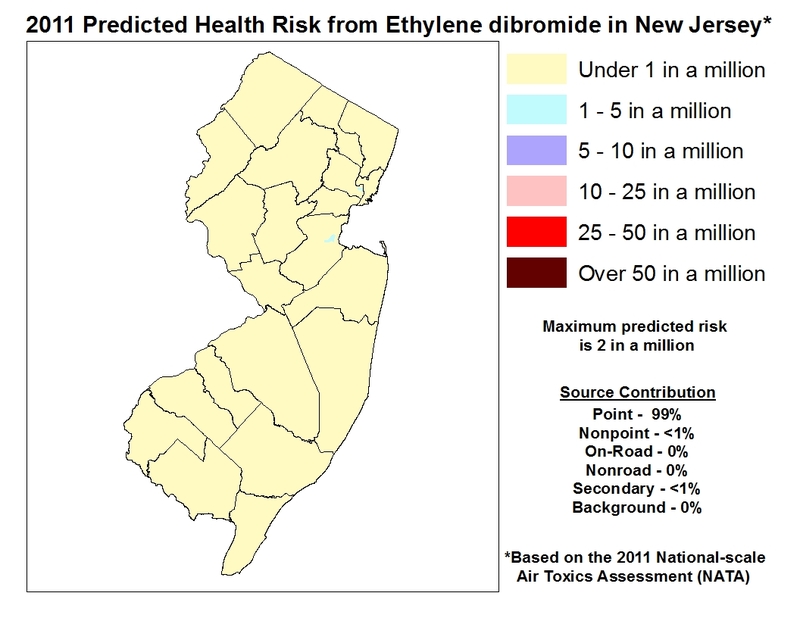 If the risk ratio for a specific chemical is greater than one, it may be of concern. 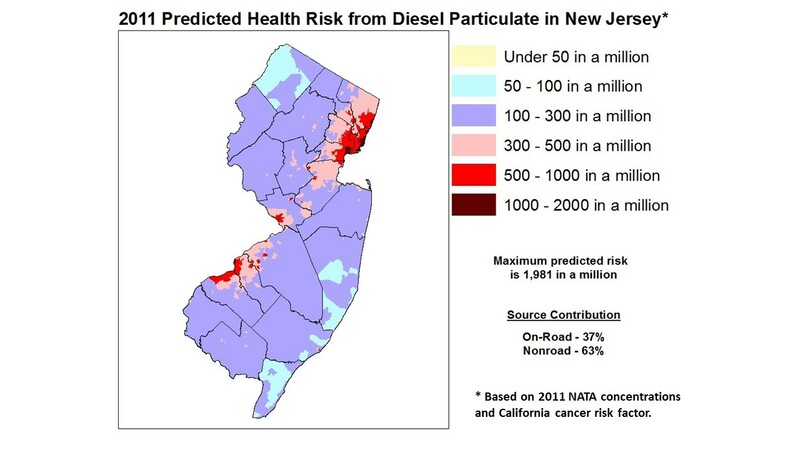 The risk ratio also shows just how much higher or lower the estimated air concentration is than the health benchmark. 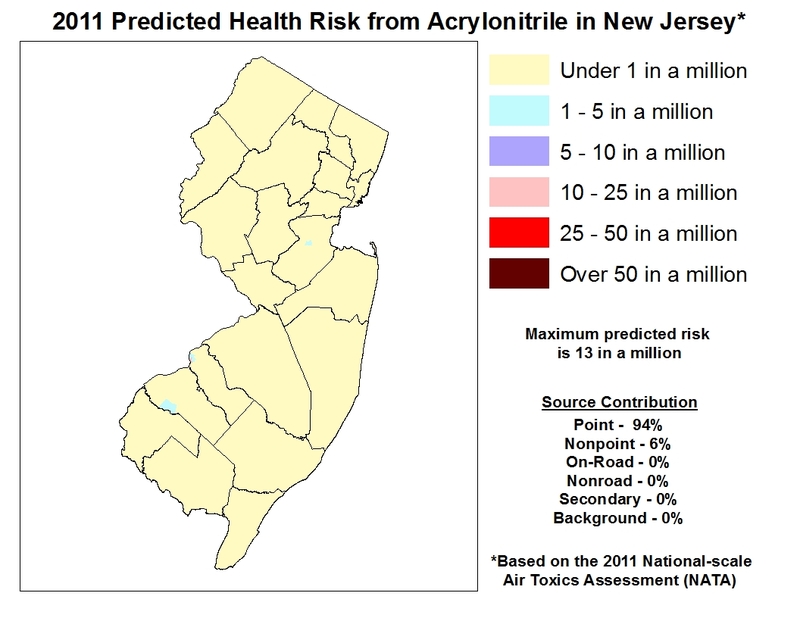 For more information, see How We Estimate Risk from Air Toxics. 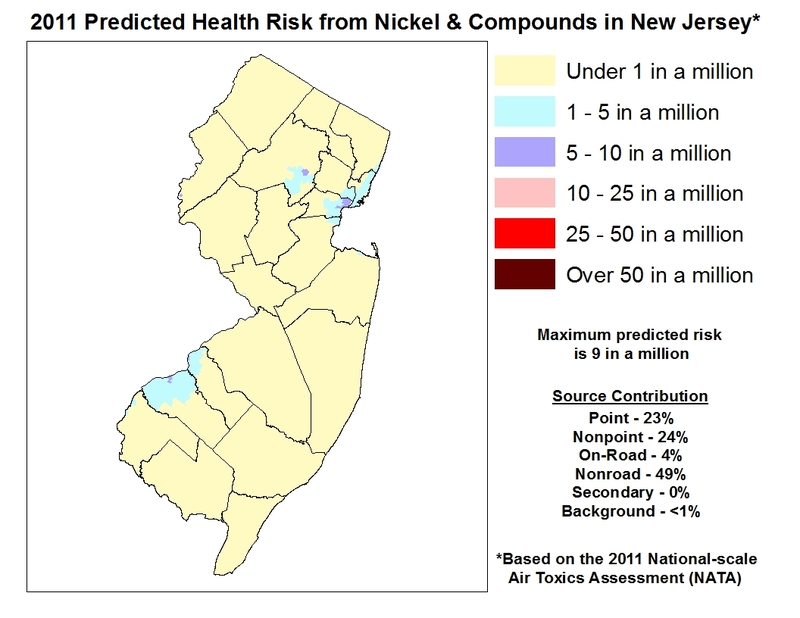 For "Air Toxics of Concern" (see below), results of NJDEP's risk assessment are presented in two ways: State Risk Maps, and County Risk Ratio Tables. 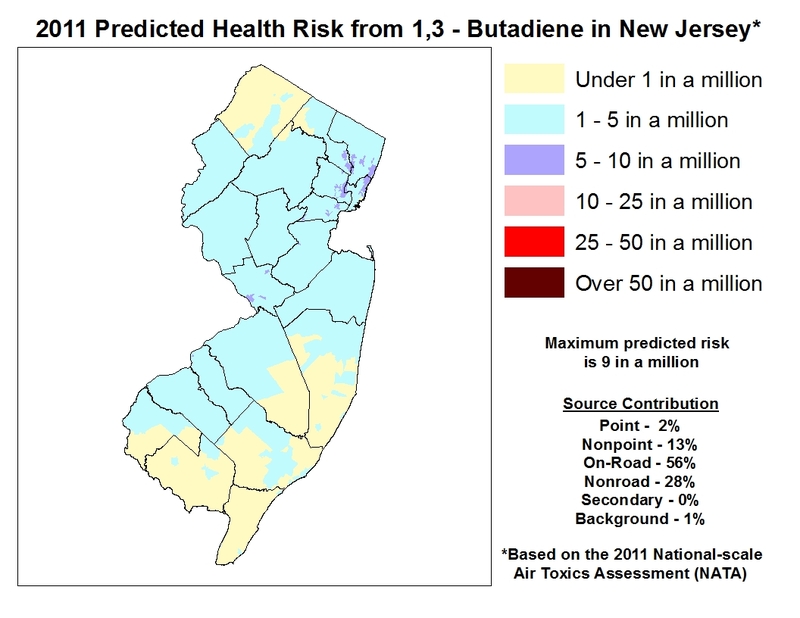 New Jersey’s methods for estimating risk using the NATA results are somewhat different from USEPA’s methods, and therefore risk results presented here are different from the risk estimates found on the USEPA's NATA web site. 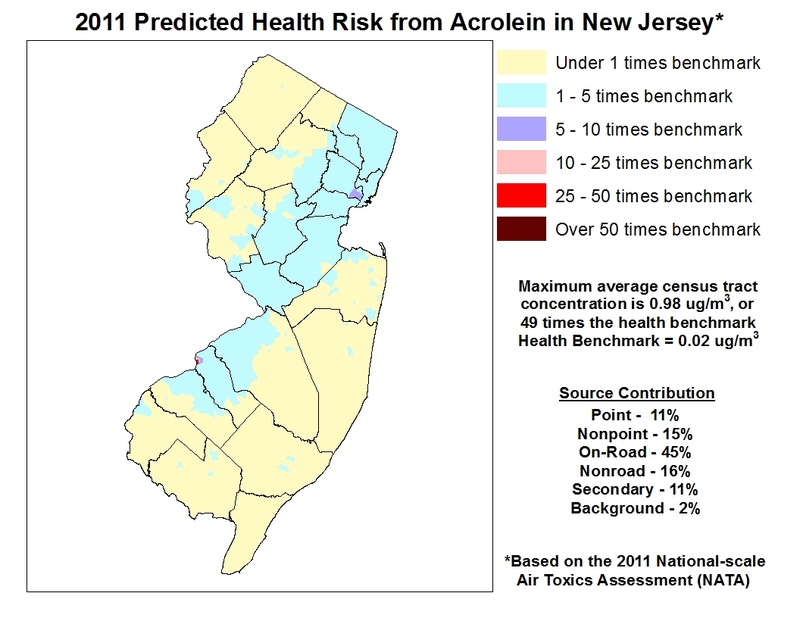 New Jersey compares health benchmarks to the modeled ambient concentrations, while USEPA converts the ambient data into "exposure concentrations" using an exposure model that incorporates numerous assumptions about the demographics and activity patterns within a census tract. 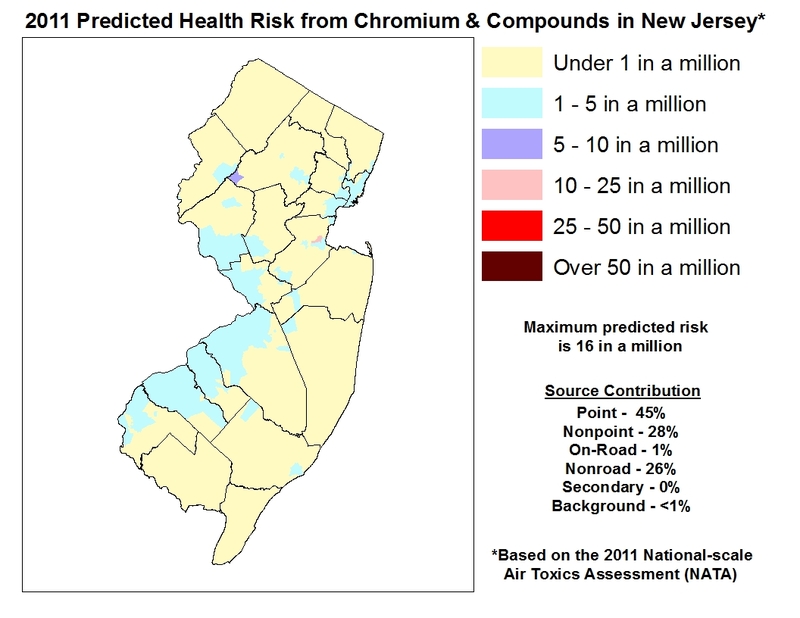 Resulting exposure concentrations may either be higher or lower than ambient concentrations. Dispersion models have been tested over time by comparisons with ambient monitoring data, and have generally been shown to be comparable within a factor of two. However, for exposure modeling we feel that at this stage of development it adds a level of complexity and uncertainty that confuses rather than clarifies the true levels of exposure. Of the 181 air toxics that USEPA included in the 2011 NATA, about one-third do not have toxicity values, or corresponding health benchmarks. 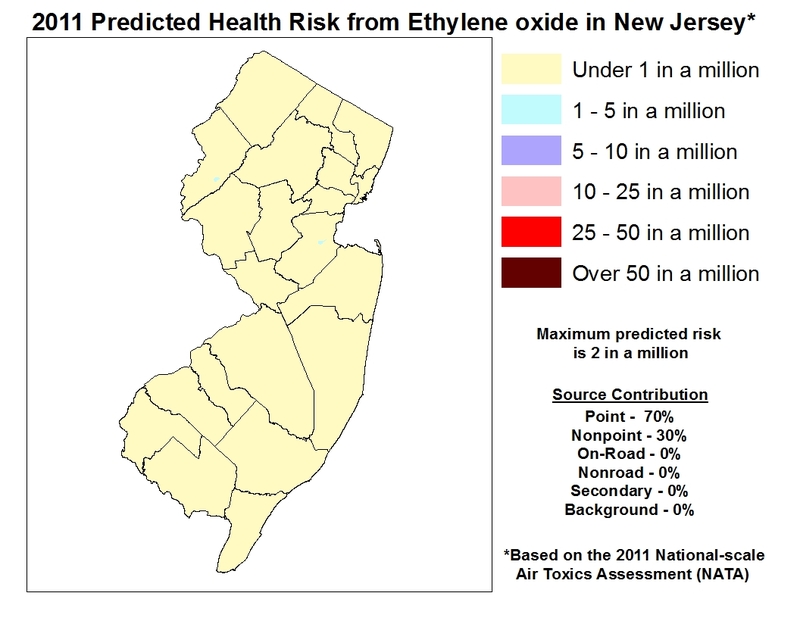 For those that do, our analysis of the state and county average air toxics concentrations indicates that 18 of the pollutants are "of concern" because they were predicted to exceed their health benchmarks in one or more counties. 17 of these are cancer-causing (carcinogenic) chemicals, and one (acrolein) is evaluated as a non carcinogen. 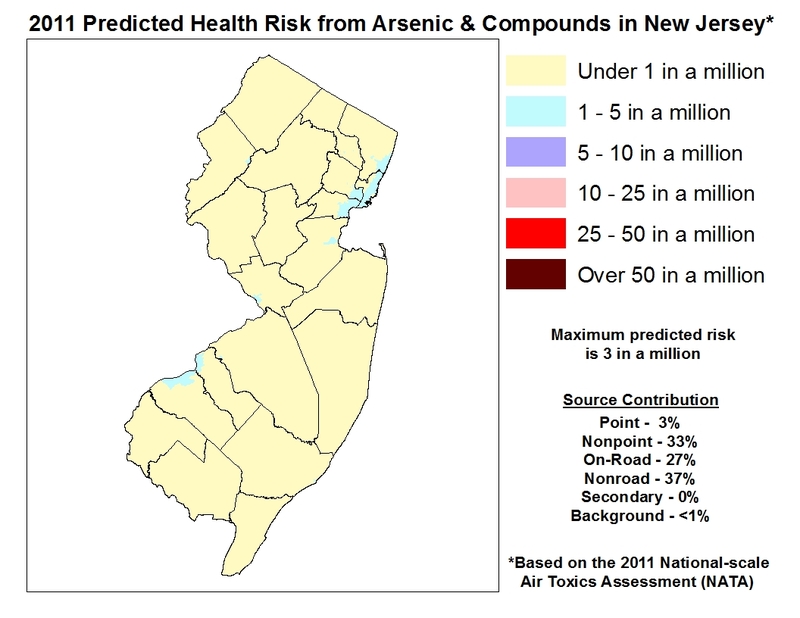 Predicted concentrations of these pollutants vary around the state, depending on the type of sources that emit them. This is summarized in the table below. For more information on source types click on point, area, and mobile sources, and background concentrations. 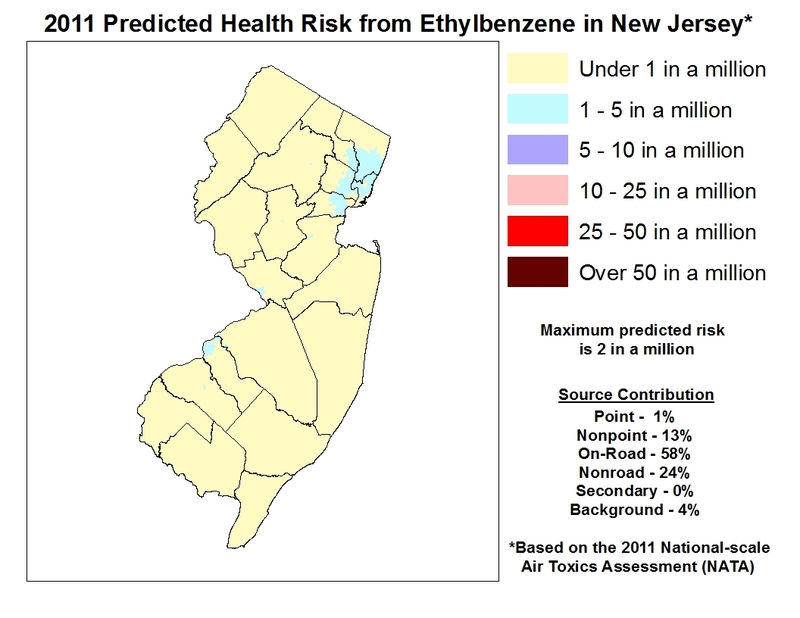 For more information on which areas are impacted by these chemicals of concern, see the chemical-specific maps below. 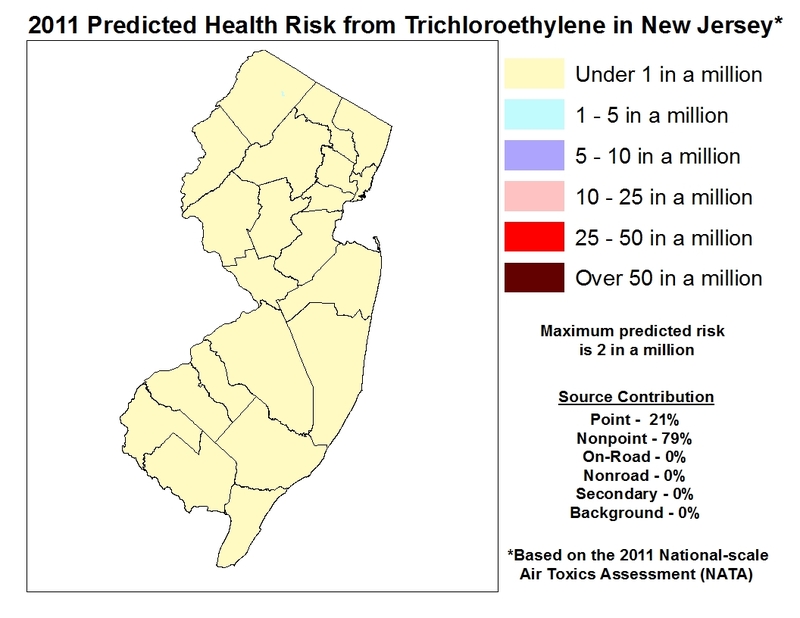 * For more information on which areas are impacted by the chemicals of concern, see the chemical-specific maps below. 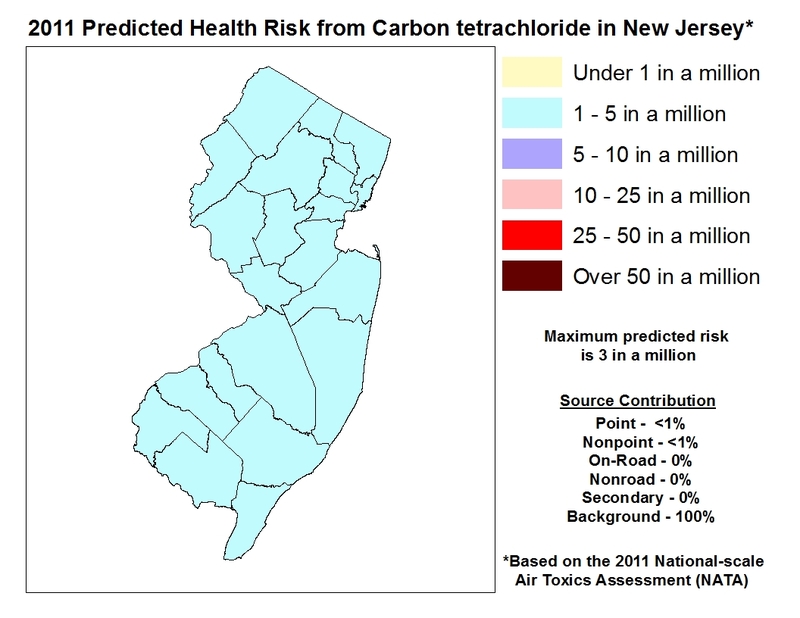 To see a statewide or county -specific table containing the 2011 NATA-based risk results (including ambient air concentrations, health benchmarks, risk ratios, and source category contributions) for each of the 19 air toxics of concern, click on statewide or the county names below. Acetaldehyde, acrolein and formaldehyde concentration estimates include secondary formation, which is the process by which chemicals in the air are transformed into other chemicals. 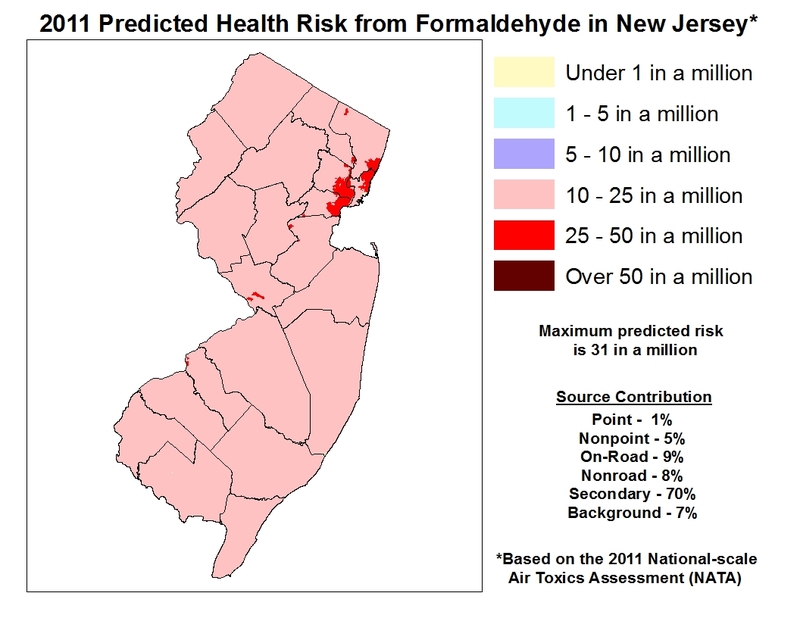 PAH/POM is "polycyclic aromatic hydrocarbons/polycyclic organic matter." These define a broad class of compounds. The chemicals making up this class were broken up into 8 groups based on toxicity, and each group was assigned a cancer-weighted toxicity estimate. 0.0072 ug/m3 is the health benchmark average across the 8 groups. 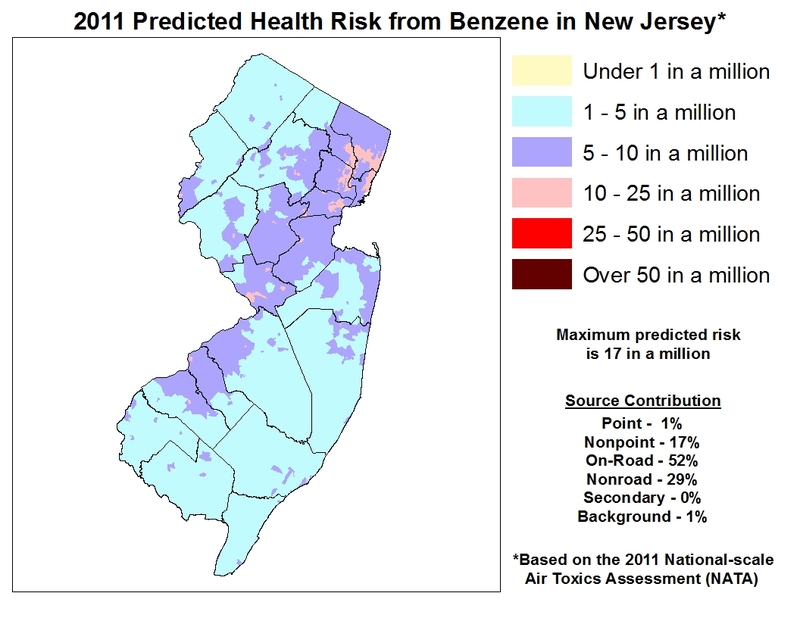 USEPA has completed Four National-Scale Air Toxics Assessments, every third year beginning with 1996. 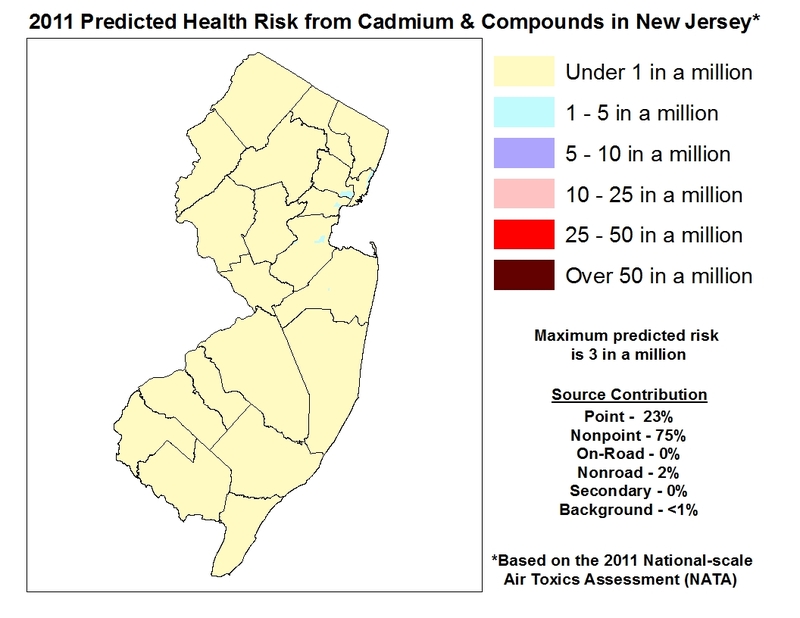 Before that, they conducted a "Cumulative Exposure Project" (CEP) for 1990 which also included an assessment of air toxics. However, they emphasize that the methods used to conduct emissions inventories, modeling, and risk assessment vary somewhat from year to year, so the results are not exactly comparable. 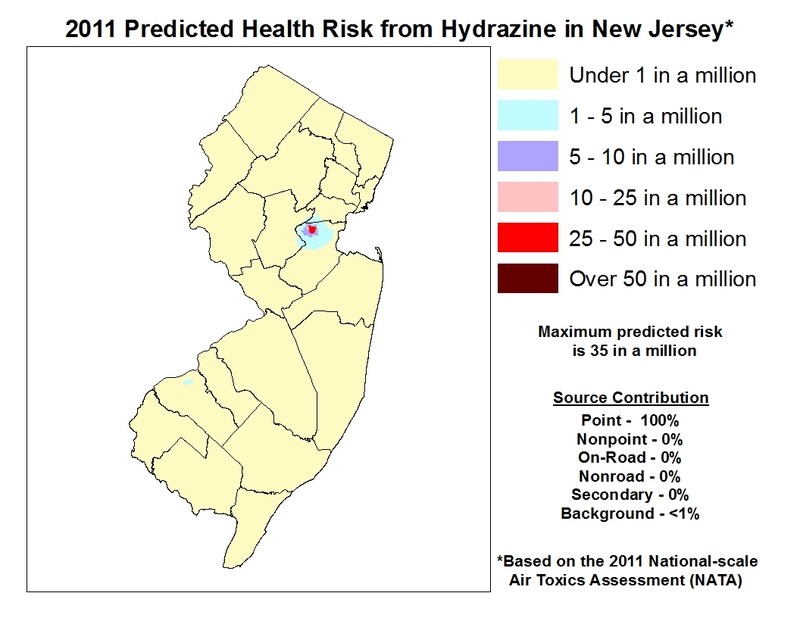 New Jersey's interpretation of past USEPA data is available below.